As the ancient idiom says, “Waste not, want not.” Researchers at Lund University in Sweden are making it happen by turning ash from burned garbage into hydrogen. “The ash can be used as a resource through recovery of hydrogen gas instead of being allowed to be released into the air as at present. Our ash deposits are like a goldmine,” Aamir Ilyas, Doctor of Water Resources Engineering at Lund University and the developer of the technology, told Domestic Fuel. Lund University researchers have developed a process that could produce 20 billion liters (about 5.3 billion gallons) of hydrogen gas per year from the ash. Burned garbage could be an enormous power source in Europe, where refuse incineration is a widespread practice. It would also keep a lot of that ash out of landfills. The Lund University researchers have developed a process they say could produce 20 billion liters (about 5.3 billion gallons) of hydrogen gas per year from the ash, enough to power 11,000 homes. The researchers have developed a technique where they place the ash in an oxygen-free environment. The ash is dampened with water to form hydrogen gas, and the process uses a safety procedure to make sure stored hydrogen doesn’t explode. Hydrogen gas has multiple sources and applications. The Swedish university project is thinking about converting it into electricity to power homes. 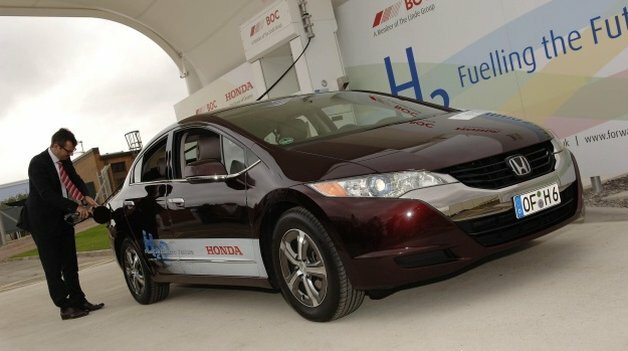 Fuel cell vehicles convert hydrogen and oxygen from air into electricity inside the vehicle’s fuel cell stack. In Fountain Valley, CA, the Orange County Sanitation District and Air Products have created a hydrogen fuel cell vehicle fueling station where hydrogen comes from waste water. Methane gas is extracted from the waste water and stored inside holding tanks. In addition to hydrogen for powering vehicles, this project creates electricity and heat from the waste water. Swedish researchers burn garbage into hydrogen originally appeared on Autoblog Green on Fri, 05 Apr 2013 11:56:00 EST. Please see our terms for use of feeds.